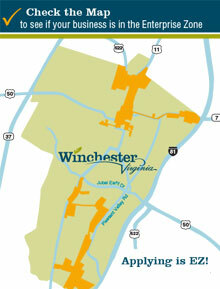 The Winchester Boards and Commissions advise the City Council on policy issues. All meetings are open to the public. The City is always seeking dedicated and knowledgeable volunteers to serve on various boards and commissions. To see a list of vacancies, please click the "online application" button below. Note: You will be taken to the City's online Boards+ portal which will list board members and their history plus vacancies. Vacancies for each board exist if a "Join this Board" button is present. You can able to apply for one or multiple vacancies from this portal. The City asks that those interested in applying for a vacant board seat use the online application portal, however, paper applications (PDF) are accepted. Questions? Contact the City's Communications Director or call (540) 667-1815, ext. 1670. Interviews are held with at two Councilors. If selected, the candidate is notified and the appointment is announced during a subsequent Council Work Session. Official vote is taken at the next regular Council meeting. Appointee is notified by City staff of appointment with further instructions. Prior to applying, attend public meetings for the board(s) on which you are interested in serving prior to applying. Educate yourself on the City's and board's purpose, mission and procedures. Review Council and board agenda materials regularly to stay informed. Read City of Winchester government newsletters, social media posts, news releases, publications and website information. Watch the City's news show and podcasts. 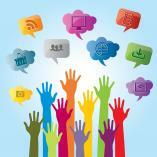 Click here for links to all City communications programs. Promotes preservation, protection and maintenance of buildings, structures, places and areas within the Historic District. Prior to any alteration, re-construction, demolition, or restoration of buildings or structures within the Historic District, the Board reviews applications and grants. The review board consists of seven voting members who are appointed by City Council. One must be a registered architect, one should be a licensed real estate agent, one or more should own property or reside in the Historic District, and one or more may be from backgrounds in architectural history, history, planning, real estate, or archeology. 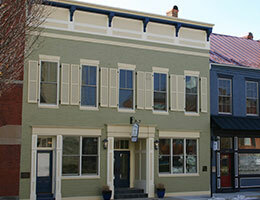 All members should possess knowledge of and demonstrate interest in preservation of the historic character of Winchester. NOTE: Email messages to the BAR will be sent to all members and the staff liaison. Responses received from individual members do not represent the entire board. Meets: First and third Thursday of each month, 4:00 pm, Council Chambers, Rouss City Hall, 15 North Cameron Street and within 20 days after notification by the Zoning Administrator of an application for a Certificate of Appropriateness or permit requiring action by the review board. The Board of Building and Fire Code Appeals (BBFCA) shall consist of at least five regular members and any number of alternate members appointed by the City Council. Regular and alternate members may be reappointed. Regular members are appointed to staggered five year term, alternate members are appointed to one year terms. Members of the BBFCA shall be selected by the locality on the basis of their ability to render fair and competent decisions regarding application of the Uniform Statewide Building Code and shall to the extent possible, represent different occupational or professional fields relating to the construction industry. At least one member should be an experienced builder; at least one member should be a Registered Design Professional, and at least one member should be an experienced property manager. Employees or officials of the locality shall not serve as members of the BBFCA. NOTE: Email messages to the BBFCA will be sent to all members and the staff liaison. Responses received from individual members do not represent the entire board. The board hears and gives consideration to real estate assessment complaints and shall adjust and equalize assessments and are charged with the duty of increasing as well as decreasing assessments, whether a specific complaint was made or not, if in its judgment so that the burden of taxation shall rest equally upon all city citizens. The circuit court having jurisdiction within the city, in each tax year immediately following the year a general reassessment or annual or biennial assessment is conducted in the city, appoint for the city a Board of Equalization of Real Estate appointed according to law. The term of any board of equalization appointed shall expire one year after the effective date of the assessment for which they were appointed. NOTE: Email messages to the BOE will be sent to all members and the staff liaison. Responses received from individual members do not represent the entire board. Hears and decides appeals of the Zoning Administrator's decision related to the enforcement of the Zoning Ordinance. The board may also consider applications for variances from the strict application of the Zoning Ordinances, where clearly demonstrable hardships exist. The Board shall consist of five residents of the City, appointed by the Circuit Court of the City. Their terms of office shall be five years each except that original appointments shall be made for such terms that the term of one member shall expire each year. Appointments to fill vacancies shall be only for the unexpired portion of the term. Members may be re-appointed to succeed themselves. Members of the Board shall hold no other public office in the City except that one may be a member of the Planning Commission. A member whose term expires shall continue to serve until his successor is appointed and qualifies. The Board shall elect from its own membership its officers, who serve annual terms as such and may succeed themselves. NOTE: Email messages to the BZA will be sent to all members and the staff liaison. Responses received from individual members do not represent the entire board. The Community Development Committee is comprised of all members on the Economic Development Authority. The Committee provides input and makes recommendations regarding the implementation of the City's Community Development Block Grant (CDBG) and spot blight abatement programs, and other neighborhood and affordable housing strategies and policies. NOTE: Email messages to the CDC will be sent to all members and the staff liaison. Responses received from individual members do not represent the entire committee. In 1993, Virginia Law provided for the pooling of eight specific funding streams which purchased services for high-risk youth. These funds are returned to the localities with a required state/local match are managed by local interagency teams. The purpose of the Act is to provide cost effective, child-centered, family-focused, community-based services to high-risk youth and their families. By law, each locality is required to have at least two interagency teams, the Community Policy and Management Team (CPMT), and the Family Assessment and Planning Team. NOTE: Email messages to the CPMT will be sent to all members and the staff liaison. Responses received from individual members do not represent the entire team. Facilitates economic development activity to maximize use of industrial and commercial land. This will enable the City to help the workforce develop its fullest potential and minimize burden on the individual taxpayer. The EDA should take into account the need to preserve the social, environmental, architectural and cultural fabric of the community. Develop property where needed to achieve maximum potential. Develop marketing collateral and business/talent recruitment program. NOTE: Email messages to the EDA will be sent to all members and the staff liaison. Responses received from individual members do not represent the entire authority. NOTE: Email messages to the EST will be sent to all members and the staff liaison. Responses received from individual members do not represent the entire taskforce. Adopts a long-range transportation plan and maintains an annual work program and budget that is governed by a Policy Board. The Frederick-Winchester Service Authority owns both of the wastewater treatment plants (Opequon and Parkins Mill) and provides wastewater treatment for both the City and the County. Both the City Council and Frederick County Board of Supervisors appoint board members to this authority. There are no specific qualifications to be appointed, however any knowledge and experience with wastewater treatment is beneficial since the operations of the plants are so complex. The Board of the Frederick-Winchester Service Authority (FWSA) makes all the decisions regarding the Opequon Water Reclamation Facility with regard to capital improvements at the facility and setting the rates for wastewater treatment services that the City, County, and other customers have to pay. The Executive Director of the FWSA reports directly to the Board. The Board is ultimately responsible for ensuring that revenues are sufficient to cover the operational expenditures and the long term capital needs of the facility and for ensuring that the plant can meet the increasing water quality standards enforced by DEQ. 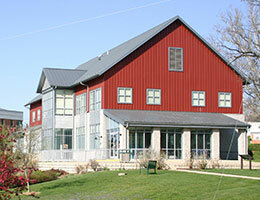 The City of Winchester operates the day to day functions at the Opequon Facility under a contract with the FWSA. At the request of the City Council in 1896, the State Legislature created the Handley Board of Trustees (the “Handley Trust”) to receive and manage the assets bequeathed by Judge John Handley and to fulfill the terms of his will. The Handley Library, built in the beautiful Beaux Arts style, was completed in 1913. Soon after the completion of the Handley Library, plans were begun for what would become one of the most magnificent and progressive schools in the state and country, Handley High School, completed in 1923. Although the Trust helped to finance the multi-million dollar renovation of Handley High School completed in 2009, its primary focus for many years has been on programs to expand and enrich the educational experience of students, teachers, parents, and the entire community. Trustees shall serve for a term of six years each, with staggered terms. Trustees may serve a maximum of two successive terms in addition to any unexpired term to which the Trustee may have been appointed in the event of a vacancy. Meets: Fourth Monday of the first month of every quarter (January, April, July and October), Noon, Handley Regional Library. Serves as a governing board to set policies by which the Library system operates. This 10 member board is composed of representatives appointed by the jurisdictions of Clarke County, Frederick County, and the City of Winchester. The Old Town Advancement Commission (formally known as the Old Town Development Board) serves as an advisory board to City Council for the primary and secondary Old Town assessment districts. The OTAC advises City Council regarding the improvement, maintenance, development, planning and promotion of Old Town Winchester. The Board is made up of eleven members representing downtown property owners, business owners, the City of Winchester and Shenandoah University. NOTE: Email messages to the OTDB will be sent to all members and the staff liaison. Responses received from individual members do not represent the entire board. The Other Post-Employment Benefits (OPEB) Finance Board was established by City Council on November 14, 2017 to monitor the OPEB trust pursuant to Section 15.2-1544 of the Code of Virginia. The OPEB Finance Board is responsible for accumulating and investing assets to fund OPEB in the form set forth in the Virginia Pooled OPEB Trust Fund Agreement. The Board is comprised of three members consisting of the chief financial officer of the entity, the City Treasurer, and one citizen of the Commonwealth. Advises Council and Parks & Recreation staff concerning the organization and promotion of recreational, capital improvement and maintenance programs. The board shall also fund raise. Board members may serve two consecutive three-year terms. In the event a present Board member would terminate before the expiration of their term the new member may fill this position and complete the three year term of the departing member and then start their two consecutive three-year terms. NOTE: Email messages to the Park Board will be sent to all members and the staff liaison. Responses received from individual members do not represent the entire board. Prepares the recommends a Comprehensive Plan for the City's physical environment. Makes recommendations to City Council on development proposals including land rezonings, zoning and subdivision ordinance text amendments, conditional use permits, and major subdivisions. The Planning Commission is composed of 7 voting members appointed at-large by City Council plus one non-voting representative from City Council and one non-voting representative of City Administration. The Planning Department and the Zoning & Inspections Department serve as staff liaisons to the Commission. Commissioners may serve up to 2 four-year terms plus any portion of an unexpired term if they are replacing someone who leaves before the end of their term. Commissioner training is available periodically at the State level. The Planning Department maintains copies of the Commission’s by-laws, agendas, meeting packets and minutes. Commissioners serve without compensation although the City covers training expenses upon advanced request and approval. NOTE: Email messages to the Planning Commission will be sent to all members and the staff liaison. Responses received from individual members do not represent the entire commission. Meets: Third Tuesday of each month, 3:00 pm, Council Chambers, Rouss City Hall, 15 North Cameron Street (a work session is held every first Tuesday of the month, 3:00 pm, Rouss City Hall, 4th Floor Exhibit Hall. Meetings and work sessions typically run 1.5 to 2.5 hours). The nine members of the Winchester School Board are appointed by City Council, serve four-year terms, and are limited to two consecutive terms. The functions of the School Board are policy-forming and legislative, while those of the Superintendent are administrative and executive. The School Board directs the expenditure of a $48 million budget, oversees a 600 member school staff which includes teachers, staff professionals, and support personnel, and carries out the responsibilities connected with the ownership and maintenance of school buildings and sites worth over $200 million. The School Board works within the broader framework of state and federal law, and each member of the board is accountable to the citizens of Winchester. Meets: Second and Fourth Monday of each month, September through June, 6:00 pm. The first monthly meeting is a work session and is held at the Winchester School Board Office, 12 N. Washington Street. The second monthly meeting is a regular meeting and held at the Jefferson Street Center (536 Jefferson Street). Advises the City Manager and the Human Services Team leader on all issues related to the formulation of policy or implementation of programs intended to serve the social welfare of local residents. The Social Services Advisory Board is a group of no fewer than five and no more than thirteen individuals (City Code currently authorizes up to 9 members) appointed by the local governing body to assist the local director in the an advisory capacity. The Board has an interest in all matters pertaining to public assistance, and social services needed by the people of the community. The Board submits an annual report to the governing body concerning the programs administered by the department as well as any other reports it deems necessary. It is also responsible for helping the department administer an effective EEO/Affirmative Action Plan. Members serve four year terms, and may serve no more than two consecutive terms. NOTE: Email messages to the Social Services Advisory Board will be sent to all members and the staff liaison. Responses received from individual members do not represent the entire board. Study the governing practices of towing and recovery services rendered pursuant to police towing requests. Make recommendations to City Council and the Winchester Police Department regarding adoption or amendment of any ordinance, regulation, or contract pertaining to the same. Hear appeals and complaints arising from police towing requests. Periodically review fees charged by authorized towing services to allow for timely adjustment of fee limitations implemented pursuant to §46.2-1233.1 of the Code of Virginia. The Board shall consist of three members appointed by City Council, including one representative from a local law enforcement agency, one representative of a licensed towing and recovery operator, and one member of the general public. NOTE: Email messages to the Towing & Recovery Advisory Board will be sent to all members and the staff liaison. Responses received from individual members do not represent the entire board. Oversees the marketing, budget, and daily operations of City and County tourism. NOTE: Email messages to the Tourism Board will be sent to all members and the staff liaison. Responses received from individual members do not represent the entire board. Owns and operates Old Town Winchester's four parking garages, metered parking lots and on-street meters. NOTE: Email messages to the WPA will be sent to all members and the staff liaison. Responses received from individual members do not represent the entire authority.